The purpose of ensuring that children avoid looking at non-kosher animals is to keep them pure so that they will be sensitive to holiness. Once they are sensitive to this, they will certainly stay far away from any forbidden gazing. However, this custom can’t exist in a vacuum. It makes no sense to forbid one’s children from having teddy bears while allowing them to watch television. Almost every show on television contains immodest imagery whose negative impact is infinitely worse than that of teddy bears, even for little children who are yet to learn about “the birds and the bees” and thus do not understand what they are viewing. Even the news regularly contains images of the faces of wicked people, which would also seem to be far more detrimental than seeing a teddy bear. The same goes for the harmful effect of images in newspapers. In other words, in the above sicha, the Rebbe assumes that the frum home is thoroughly protected from any “foreign winds,” and the only thing left is to go “beyond the letter of the law” and remove images of non-kosher items from the house. Sadly, many supposedly frum homes are yet to reach this point; I will not elaborate further on this painful matter. In any case, gazing at forbidden animals is spiritually harmful, and we have also seen that gazing at representations of negative images is detrimental. It follows, therefore, that gazing at representations of forbidden animals will also have a negative effect. 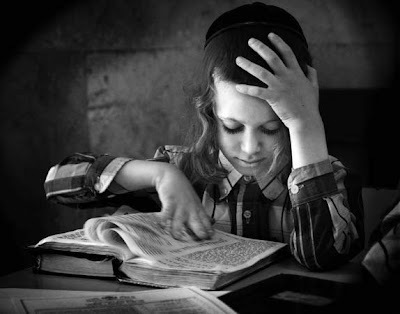 The Rebbe then carries this a step further by explaining that the need to ensure a totally pure environment is all the more strong in childhood, according to the verse, “Teach the boy according to his way, and even when he becomes old, he will not depart from it” (Mishlei 22:6). In this context, this verse is telling us that the key to growing into an adult with pure, holy desires and goals is for the parents to accustom him as a child to pure influences. In other words, the Rebbe is saying that caution in this regard is especially necessary for little children. The message in the sicha is not meant only for little children, as some people imagine. Therefore, the Rebbe began by mentioning: “A Jew, and especially a Jewish child, should be accustomed to pure things only.” Indeed, there is an extra emphasis on children, for they are far more susceptible to influence. However, everyone is affected by what they see. Older children and adults should also avoid viewing images of non-kosher animals unnecessarily, because everything that one sees affects the person. It does not become “okay” to unnecessarily view a non-kosher image when one becomes older. The Rebbe also expresses surprise that otherwise excellent Torah publications have chosen to use a mouse to illustrate children’s literature, apparently in imitation of Mickey Mouse, and laments the fact that this sort of illustration has become standard. In addition the Rebbe advises that although people have become used to using non-kosher images for such a purpose, this habit can in fact be changed easily. Then the Rebbe cautions against aggressive zeal in promoting this practice, warning that if one seizes upon another person’s neglect in this area with the peremptory demand that he change his behavior, this approach is likely to be met with resistance, with the listener exclaiming, “Who do you think you are to tell me what to do?” Instead, one should explain to him that one is not telling him a new concept. Rather, this concept is written in holy books, and he can study the texts where this concept is discussed himself, enabling this concept to become something he can relate to personally. According to Jewish custom, when a Jewish child is born, we hang holy things on the wall in his room, or surround him with holy things, such as a Shir Lamaalos. Likewise, we should ensure that he not see any images of impure things. When one has to give him an animal toy, for whatever reason, since he is a child, one should choose a toy shaped in the form of a kosher animal, bird, fish, or the like. So, too, when the child becomes older and needs to be taught the form of the letters. He is at the age when he needs to be shown an aleph through being shown the image of a person carrying two buckets—one above, and one below, as used to be typically depicted in children’s literature. The illustration includes a river with fish swimming in it, or a cat, or the like. The image of the cat should be removed, and a kosher animal, bird, or fish should be inserted instead. One of my teachers explained this to me as follows. The Rebbe is not saying that children’s literature should never contain images of non-kosher animals. If such an image fits naturally in the context of the story, there is nothing wrong with the animal being there. For example, if a story that depicts a journey made in past times would acceptably include an image of a horse and a wagon, for since this was the standard mode of transport in past times, the image is necessary. In other words, the non-kosher image serves a clearly definable educational purpose. But if a kosher image could have been used just the same, and the non-kosher image was used instead simply in order to fill up space on the page, such a book should not be used. Likewise, the Rebbe says that this caution does not apply to images of non-kosher animals discussed in Tanach and in Medrash, which are illustrated for children in order to facilitate their studies, “for then this image is a study and commentary on the Torah, as is obvious.” An example would be an illustration of the story of Rivka giving Eliezer’s camels water, where it is necessary to include an image of a camel so that the child will understand the story. Thus, the Rebbe points out, we find that Rashi, one of the most famous children’s teachers, wrote in his explanation of the verse, “This is the animal that you will eat ... that you will not eat” (Shemini 11:2), that Moshe Rabeinu would visibly show the Jewish people the animals that may not be eaten. This proves that it was necessary to teach about the non-kosher animal visually, for were it not, Moshe Rabeinu could have sufficed with showing all the kosher animals and simply explaining that all the others were not kosher. As for the images of an lion or an eagle found on many an paroches, or on the covering of a Sefer Torah, the Rebbe explains that this display is necessary in order for these animals remind one of the need to pray to Hashem and serve him in a way “strong like a lion,” and so on, as discussed in the beginning of Shulchan Aruch Orach Chaim. Another possible answer is that these animals remind one of Yechezkel’s vision of a heavenly chariot. Likewise, the Rebbe explains that the reason that some of the tribes had images of non-kosher animals emblazoned on their flags (Bamidbar Rabba 2:7) was that each image was connected with the qualities of the tribe; thus, each tribe needed to be represented by the image of a particular animal (e.g., a snake). Likewise, when there is a clear need for a non-kosher animal, it is acceptable. Obviously in the old country, when the most practical means of transport was by horse, it was completely acceptable to own a horse. Likewise, people would use cats to keep away mice. Many people who lack a solid background in Torah will no doubt regard this practice as odd, and some may even react with ridicule. However, it must be stressed that this practice has solid traditional Torah sources. Thus, just as in all Torah matters one must act with confidence and fulfill the dictum “Do not be embarrassed by the scoffers” (beg. of Shulchan Aruch, Orach Chaim 1:1) so, too, in this case. Some people may dismiss it as ridiculous and fanatic, but one who fears Hashem will not be deterred by their words. His faculty of sight is not open to see everything before him, never mind to see something that it is forbidden to gaze at. For in fact seeing, and certainly gazing, is the cause of every wicked thing. It brings one to total evil, may G–d save us ... and lowers one into the depth of hell. Everyone who is concerned for his soul, not to bring it to contamination, G–d forbid, should confine himself in his faculty of sight. If he finds this difficult, he should know that his soul depends upon it, and that if he does not confine himself, all his divine service is as nothing, for he will not accomplish anything through his toil and service. On the contrary, he will fall, may G–d save us, to the lowest depth. Thus one should toughen oneself like a lion to confine himself with all his vigor and might. ... With this one will save his soul from evil, and his divine service will be acceptable [before Hashem], and he will accomplish salvation for his soul, and rise ever higher. Many practical questions arise in connection with this issue. For example, what should one do with children’s gifts one has received of non-kosher animals? This is especially an issue when one has not-yet-frum relatives. Obviously one should try to “warn” them first. The problem is that they often “forget” or don’t take you seriously. However, this is just one of many issues that can arise in such family situations, and friction in this area needs to be dealt with in the same way as all other matters—respectfully and diplomatically, but without compromising one’s principles. Although one should try to explain it, if they don’t “get it,” they need to be told assertively: “As parents, these are the rules and values that we have chosen for our home, and we ask others to respect that and not do things that undermine these rules.” Moreover, they can be told that they should not take the refusal of their gift personally, because you would refuse anyone who would offer such a gift to you. It should be clarified that like most of the Rebbe’s campaigns, this idea is not the Rebbe’s chiddush (novelty) at all. The Rebbe methodically cites a list of classical sources for this practice. Moreover, this campaign is different from the Rebbe’s other campaigns in that most of the campaigns were directed to not-yet-frum Jews, with the goal of slowly but surely bringing them to adopt Mitzvah observance. In contrast, this campaign appears to be relevant only to those in a frum home, for if one is not yet frum, a teddy bear is the least of his concerns. The Rebbe concludes the sicha by explaining that in the current period, which is immediately before the arrival of Moshiach it is all the more necessary to be particular to only see kosher and holy images, for we are now preparing ourselves for the future redemption, of which it is written, “I [Hashem] will remove the spirit of impurity form the world” (Zechariah) 13:2). The Rebbe realizes that this practice may entail inconvenience, but he is telling us that the benefit of making this change vastly outweighs the loss. Like a doctor telling us that for our own health, we need to refrain from certain foods, the Rebbe is telling us that for our spiritual health, we need to avoid impure sights. Moreover, he is merely echoing the timeless words of doctors of old. Let’s heed his call. I'll agree with your first sentence, but respectfully disagree with the rest. From an early age, my children (boys and girls) played with toy guns. From their childlike perspective, they were violent. As adolescents, I trained them in the use of real guns and gave them a perspective that, yes, they are destructive, but they are a tool of defense in a world that *can* (not necessarily will) be physically harmful to oneself. As the saying goes "G-d made Man, Sam Colt made men equal." I don't understand the question. Aside from certain species of locusts, the Torah forbids all insects. They are just as non-kosher as animals. My understanding is that the reason that the Rebbe refers to non-kosher animals and not non-kosher creatures of some other sort is just that that is what is typically more common for little kids. I my understanding a woman doesn't have to re emerse if she sees an insect, so why would this apply to butterflies and the like, in terms of clothing or books? why makes that different in the issue of mikvah? The sicha doesn't refer explicitly to insects, but it says non-kosher creatures. The halocho about mikveh is quoted only to prove that the general concept has a basis in halocho. However, the Rebbe also cites the Kav HaYashar as proof, who speaks more generally about "gazing at impure things", not necessarily animals. After reading this all, I still have an unanswered question. It seems to me that the overview connotes that it's only ok to see non kosher animals in their proper context as G-d created them. i.e. biblical context, wonders of Hashem's creation etc. which really changed my perspective as I thought it was never permitted under any circumstance for a child under three? Not clear on any age limits etc. From these sources it seems to not matter what age, as it effects everyone including adults? My main question is. I have a 17 month old and a three month old ba"h. I show them Jewish videos about bereishes and there is Noach ark and camels with Rivkah giving water. Is this ok for their ages? It seems to be in the right context as the Rebbe specified.. your advice would be greatly appreciated.Thanks for such a wonderful blog!! Indeed, based on the sicha, some Lubavitch families will only take children to the zoo or show them educational videos with non-kosher animals displayed when appropriate if they assess that their children are old enough to understand on a minimum level what they are viewing. I am visiting my haredi friend next week and I would like to buy gifts for her three children (ages 3 months, 2 years, and 4 years). If there are any inappropriate toys that you didn't cover in this article please let me know so I don't buy the wrong gifts. Never mind, I bought toys already. There is a separate discussion of toys that contain images of cartoon characters or the like, which brings that aspect of secular culture into the home. I'd think that many Charedi families would want to avoid such toys as well, even if they're not images of animals. This is the most absurd article I have ever read. I am ashamed and sorry that my fellow Jews are narrow minded and cult molded enough to think that a child playing with a stuffed elephant will an effect on their Jewish minds in any way, shape or form. Join the world.